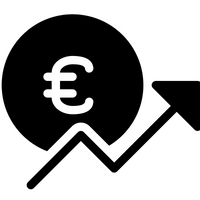 Money Pug allows you to compare foreign currency exchange rates to make sure you get the best value when changing currency and obtaining money for your hard-earned holidays. With Money Pug, you can also compare all the different options for funding your travel, from cash, to traveller’s cheques, to debit and credit cards, and prepaid cards for use overseas. If you are planning to take a holiday this year, you cannot do without Money Pug’s handy travel money comparison service. Whether you are on a tight budget, and looking for a cheap holiday abroad, or planning to splurge a little on some luxury travel, it makes sense to shop around and to get the best deals on travel money. Money Pug should be your first port of call for all your travel money needs. What Should You Look At When Getting Your Travel Money? The exchange rate dictates how much of a foreign currency you will get in exchange for your UK pounds (GBP). Different companies will offer different exchange rates, so it can be important to shop around. You might get a few units of a currency more from one supplier than you would from another. Another thing to bear in mind is that companies often charge commission to exchange one currency for another. Sometimes, this commission is a percentage of the transaction, sometimes it is a flat fee. Make sure that you include the commission when you make your comparisons. You not only need to find the company offering the best exchange rate, but also need to look at how much they are charging for the service. Only by taking both the exchange rate and the commission into account can you be sure of finding the best deal. Some companies offer commission-free exchange. This can be appealing to cost-conscious travellers. But it is important to note that commission-free offers are not always the best deals. Sometimes, a company offering commission-free currency exchange don’t have such good deals on the exchange rate, so you could end up with a lower amount of foreign currency at the end of the day. Nowadays it is relatively easy to arrange foreign currency exchange online. Online services can be convenient, but when you are making your comparisons, remember to check what the company will charge for delivery, and also make a note of how long the delivery will take, especially if you are planning on travelling in the not too distant future. Some companies will charge if you only exchange a small amount, under £500 for example. You might be able to avoid a delivery charge entirely, however, by picking up your currency from a local branch, or from a designated bureau or collection point. Be sure to explore all the options before you make your choice. can claim on your travel insurance policy, so you will only be covered up to a certain amount. Make sure you understand how much cash is covered by your travel insurance policy, or choose a policy that covers the amount of cash you want to take. (Money Pug can help you compare travel insurance, too, so be sure to check out that comparison service too before you travel). You might think that it is unlikely that you will return with unspent cash at the end of your trip, but it is best to be prepared just in case you do. It is a good idea to check out the details to see what a given company will charge to buy back the foreign currency, and what the exchange rate will be. As when you get your money in the first place, exchange rates can change so it is always best to do your comparisons and shop around. Another thing to look out for when choosing where to exchange currency and get your travel money are deals which offer the chance to earn loyalty points for the transaction. Look out, too for any sales or promotions of foreign currency, which may be especially good during the peak holiday season. What Effects The Exchange Rate For Foreign Currency? What Currency Do I Need For My Holiday Destination? How Can You Save Money on Travel Money? Monitor exchange rates and strike while the rate is good. Check to see if your own bank or building society offers preferential rates for currency exchange for existing customers. Consider commission as well as exchange rate when comparing deals. Consider a credit card – getting the right travel credit card could be cheaper overall than exchanging lots of cash for your trip. Consider getting a specific prepaid card designed for foreign use. Should I take cash, or use a credit or prepaid card? While you may wish to take cash on your holiday, there are downsides to this option. Cash is less secure than a credit card or prepaid card. If you are travelling somewhere that has easy access to ATMs then a card could be your best option – just be sure to choose the right one. You can compare both of these with Money Pug too – simply search out the relevant pages on this website to get started. 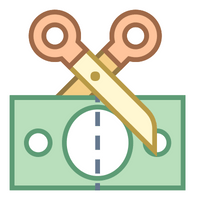 When looking at credit cards, do be sure to check how much it will cost to withdraw money abroad. Use Money Pug’s Prepaid Travel Card comparison website to find the very best pre-loaded card to take with you on your next holiday. Usually, we would advise that it is best to take a small amount of foreign cash to use on public transport and for places where you cannot pay by card, and to use a card to pay for all larger purchases while travelling. What is Dynamic Currency Conversion and do I need to worry about it? 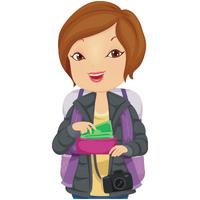 Who do we include in MoneyPugs Travel Money comparison? 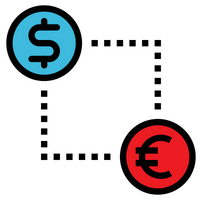 We include every company that gives you the option of buying foreign currency online. Will there be a fee if I pay by card for travel money? There will not usually be a fee if you pay by card for your travel money online or at an exchange bureau, though there may be exceptions. Always ask the travel money provider if you are unsure whether or not a charge of this type will be levied. What payment types can I choose when buying travel money? All the main credit and debit cards are usually accepted. When buying travel money you can use a Visa/ Visa Delta, Mastercard, Maestro or Solo card – or cash if you are buying in person. Which currencies can I order? All the main travel money providers will exchange your British Pounds into a wide range of worldwide currencies. All will immediately be able to change your British currency into other major currencies such as the Euro or the Dollar, or a wide range of other common options. If you want to exchange for a less common currency, you will almost invariably be able to pre-order a day or two in advance, so the company you are dealing with can get it in. I don't see the currency I need or don't know which one I need – what should I do? If you are in any doubt about which currency you require or cannot find anything about the exchange rate for the currency you need, you would be best to phone the exchange company to discuss it and to find out what they can do. Where can I have travel money delivered to? For security reasons, you can only have travel money delivered to the UK billing address of the payment card that you used to order the currency, or to the closest bureau. If ordering travel money for delivery, can I choose a delivery date? You can usually arrange a date for delivery with the currency exchange company if you wish to have the money delivered to your home. You can also arrange to pick up your funds on a particular date. Home delivery, however, will usually have to be within a certain period (often no more than two weeks from date of order). Some companies will over a next working day delivery option – though it may take a little longer if you require a more unusual currency. It is important to check, when ordering your currency, whether or not there will be a charge for delivery. Often, whether there is a delivery charge or not will depend on how much currency you have ordered. For example, there may be no charge for orders over £500 but a delivery charge may apply for orders of under that amount. Will I need to be home to receive my travel money? Yes, you will usually need to be home, as you will have to sign for your travel money. If you miss the delivery, a card will be left telling you where you can go to collect your order. This will usually be the local Royal Mail depot or sorting office. You must take this cars and the required identification with your when you go to collect your order. Will I have to wait to get currency from a bureau or can I get it right away? Most major currencies will usually be available immediately. If the currency you require is not in stock, however, usually it will be able to be provided within 24-72 hours. This won’t be good news if you’ve left it to the last minute to get your money sorted. Therefore, it is a good idea to plan ahead and give notice, especially if you want a more unusual currency. What will I need to have with me when picking up currency I have ordered? If you go to pick up money you have ordered from a bureau, you will need to have a photo ID with you, as well as the card that you used to make the payment for the currency. The ID will have to match the card holder’s details.